If you’re looking for high quality and personal service, you’ve come to the right place. At Diamond Pearlz Auto Details we’ll give you the attention and premium service you’ll come to expect and enjoy. Diamond Pearlz Auto Details is family-owned and operated right here in Cleveland, Oh. Since our company opened its doors in January 2014, we've treated every customer like they were a part of our family. Other companies may offer similar services, but our services are the best, and come with a personal touch. The company staff is skilled, knowledgeable and experienced tradesmen and women who are certified to offer auto services; they exploit their potential to the maximum to ensure that the vehicle is not just clean, but ready to get back on the road. The vehicles are cleaned cautiously, promptly and safely to ensure that they incur no damages during cleaning. This is realized as a result of the fact that our team of experts is OSHA certified. At Diamond Pearlz, we value our customers and thus give them a priority for the satisfaction of their needs. Despite the quality services of high standards that we provide, our customers can trust in us and our services. We do not overlook any process and pay proper attention to every detail in our endeavors to offer our customers the best auto services in the industry.The company boasts of a highly available and friendly customer support services to attend to all customer queries on time 24/7. 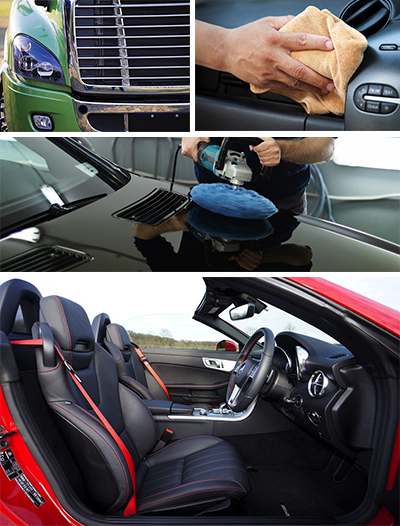 We are the one-stop shop for all your auto detailing service needs.